The use of a suffix serial letter has now been adopted by mainland Malaysia, though only in Kuala Lumpur Wilaya at present, to further extend the life of its longstanding LLL nnnn format, which has run there since 1971. The expired three-letter, four-number series which, in the case of W code, ran from 1971-2013 using WAA-WYY 1-9999 (except I,O & Z). 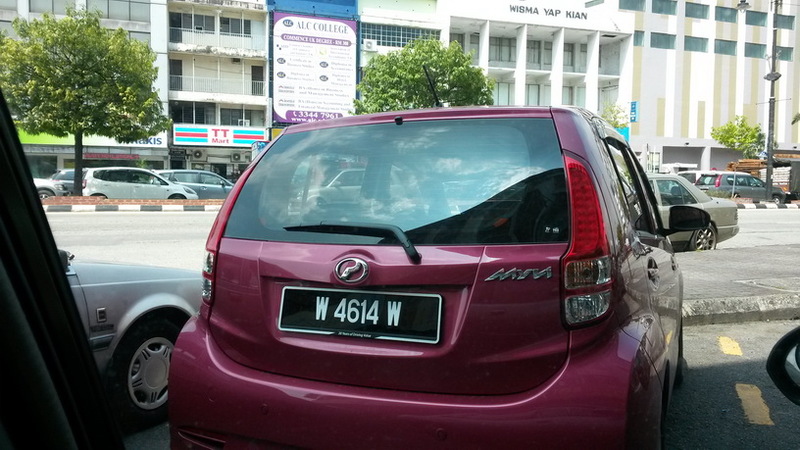 April 2014 saw the first of the W suffixes for the Wilaya of Kuala Lumpur. 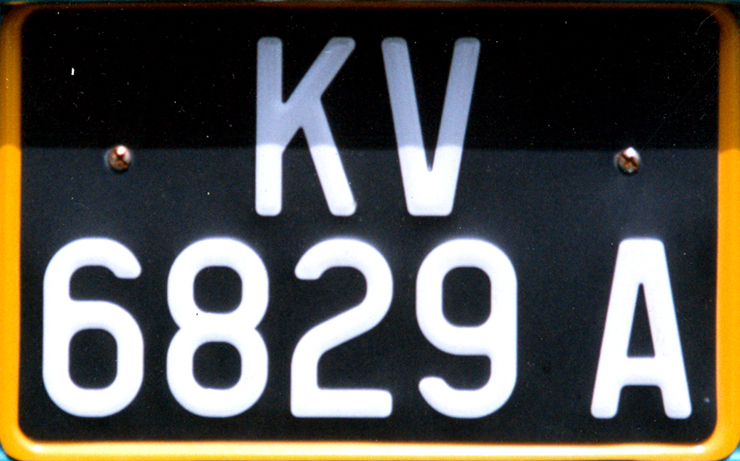 Malaysian suffixed serial letters were first noted on Langkawi Island, which had been allocated code KV from the Kedah State (K) registration dept. in ?1984?. 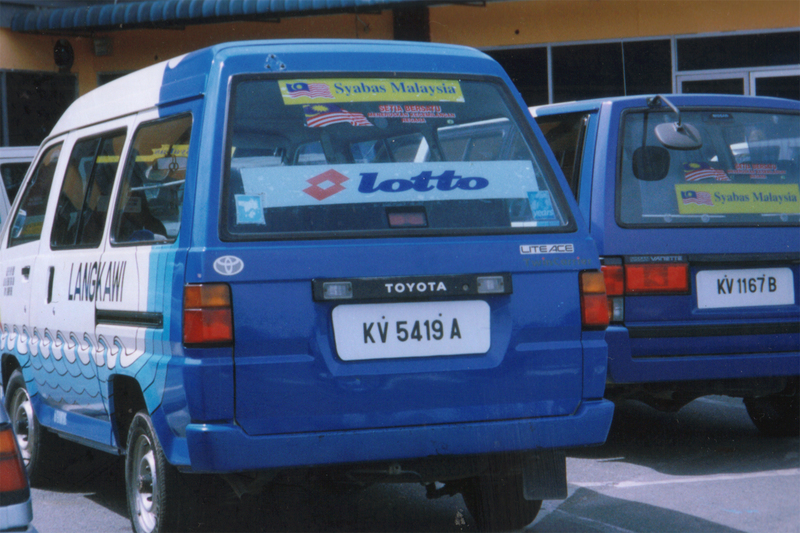 When KV 9999 was reached, instead of issuing KVA 1-9999, the new idea of a suffix serial was added, starting KV 1 A, maybe about 1990..
KV – A & B .. .. Taxis on the island use the normal Langkawi registrations, but with reversed colours, just as in the rest of Malaysia’s taxis. There is no Distance-Taxi series on the island (which if there had been, would have read: HKV 2345). VB picture 2000. 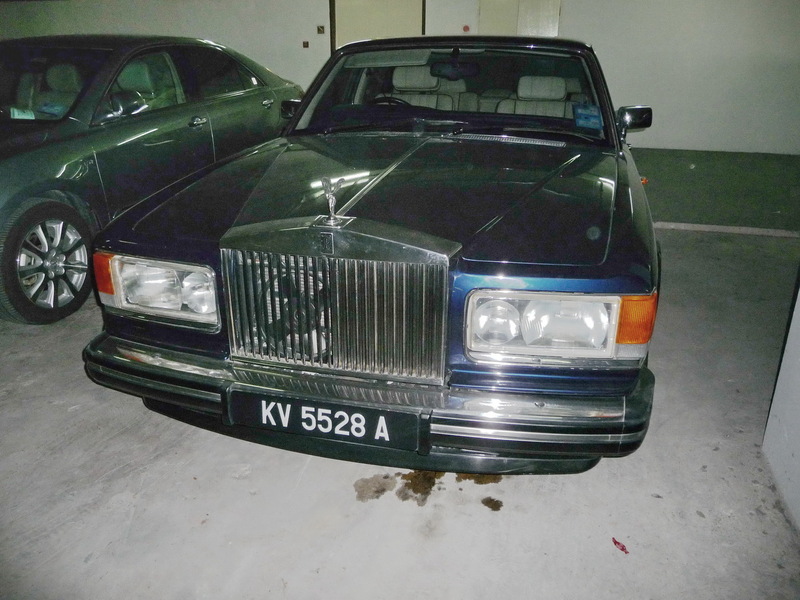 Langkawi is guessed to be now at around suffix N. More registrations are used here than the island warrants, because it is a duty-free zone and mainland Malaysians like to buy expensive new cars there tax-free, to use elsewhere; this ‘off-shoring’ greatly inflates the KV figures. Perhaps this will be stopped one day, but meanwhile a rich man from Johore, for example, can save US$100,ooo on a new Lamborghini/Bentley, by avoiding the heavy luxury-car tax of the mainland. This owner saved a bundle by registering in tax-free Langkawi. Sarawak began to issue a Q suffix to its plates around 1991 (validation needed), to separate its regional codes from those of Peninsular Malaysia and from those of Sabah, which overlapped each other with district codes J, K, T, A, D, M and B. 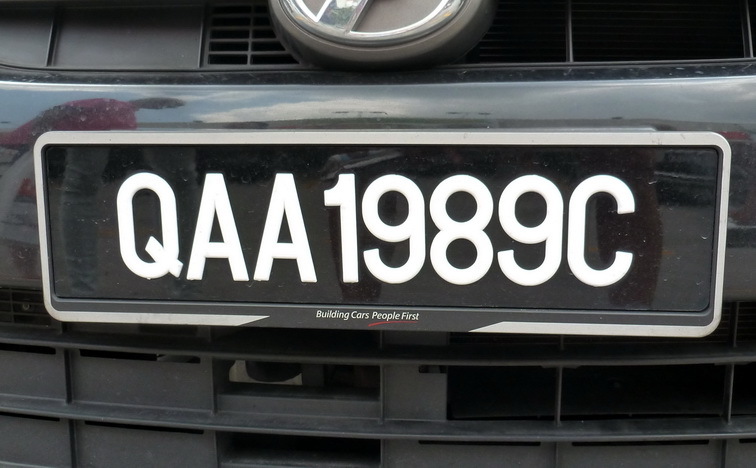 Between 1991 and 1993, owners had to have added a suffix ‘Q’ to their pre-1991 plates or stop using the vehicle. Since the unification of Peninsular Malaya and the two Borneo territories in 1963, forming Malaysia, K 2345 from Kuching (Sarawak) could park next to K 2345 from Kedah (Malaya) and K 2345 from Kudat (Sabah-former British North Borneo)! Officially, the international oval for them all became MAL. Examples of the confused state of the combined Malaysia from 1963….. 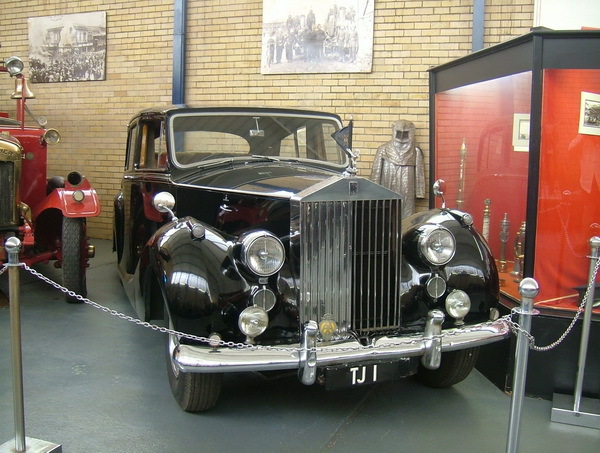 However, as so few vehicles moved between the territories in those times, it took the various authorities some long time to recognise the situation. 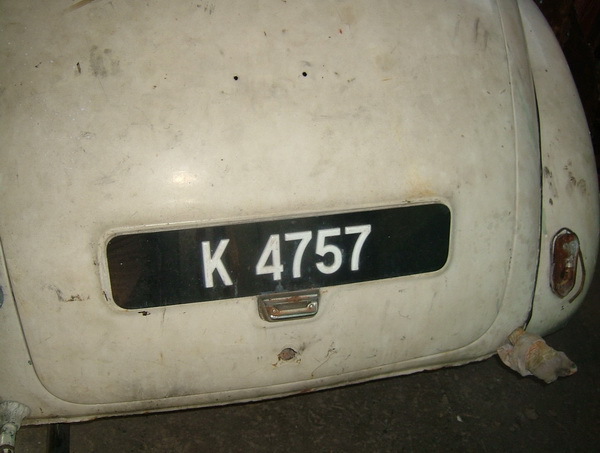 About 1967, they added E as a prefix for new registrations in Sabah (for East Malaysia) (about 1967). and at unknown later date, added an S suffix to existing plates. This is a complicated time in Sabah plate history and remains to be correctly, precisely dated. Later in Sabah, the E prefix was dropped and an ‘S’ prefix was added to differentiate its regional codes J, K, T, A, D, M, and B from the identical Mainland/Sarawak/Singapore codes: (Jesselton/Johore(J), Kudat/Kedah/Kuching(K), Tawau/Trengganu(T), Kota Kinabulu/Perak(A), Tawau/Kelantan(D), Malacca /Miri(M), and Beaufort/Selangor(B). Unlike the Langkawi series, the Q and S suffixes in the Bornean states were not serial letters, however, and are mentioned only because they were a stage in the change to serial suffixes now in use in both the Bornean ‘countries’, starting with the two capital towns, which register the most vehicles and so lead any system changes. 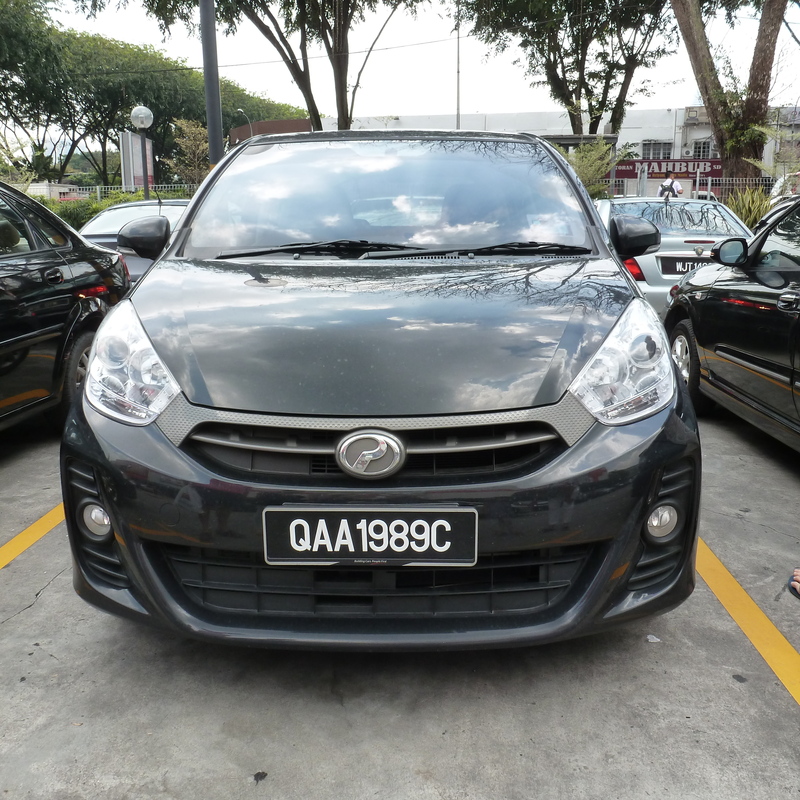 Kuching-Sarawak now issue the format QAA 2345 A-B-C etc. and Kota Kinabulu-Sabah ‘SAA 2345 A-B-C etc. Kuala Lumpur Wilaya will follow suit with WA 2345 A-B-C etc. within a few weeks and WAA 2345 A-B-C in the distant future. 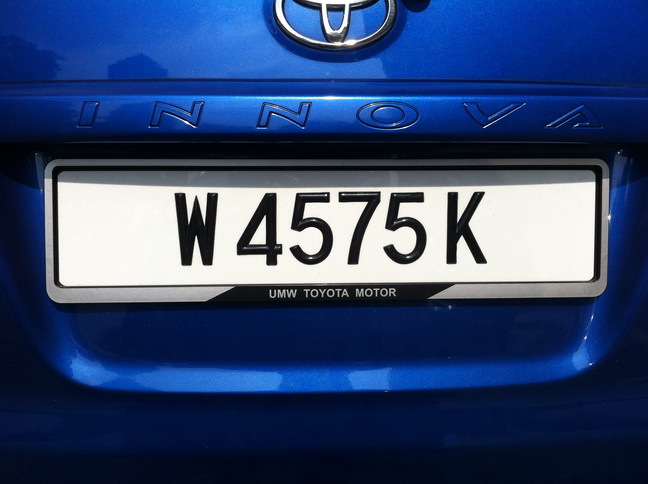 Remarkably, WA 1-9999 A is expected to start in May or June 2014, indicating the volume of new registrations of all vehicles at over 200,00o in 9 months. 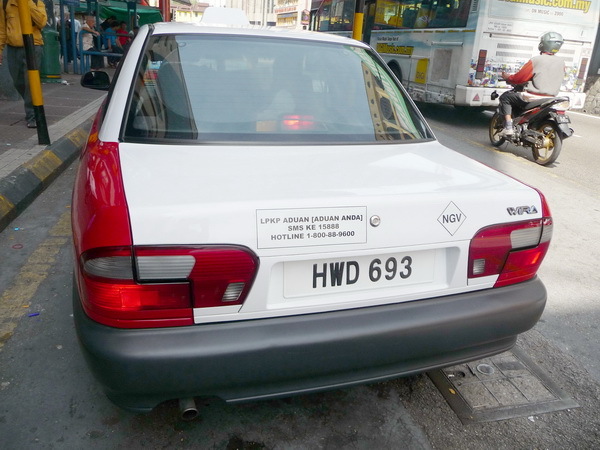 There are also local taxis which carry a different plate type, and so are not counted in that figure. Kuala Lumpur alone has over 30,000 registered taxis. 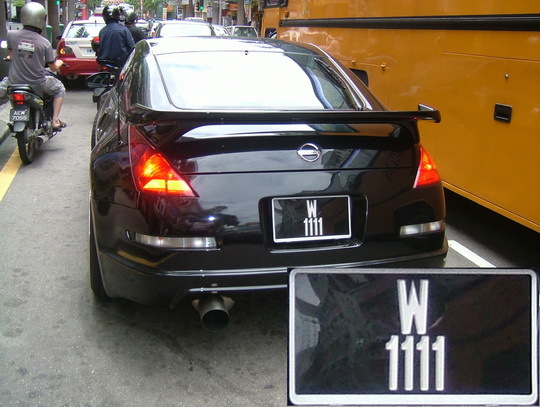 They use separate HWA-E (2014 currently E) 1-9999 plates, in black on white. The majority of this run on new registrations is taken up by light motorcycles. In just one day recently, the Transport Dept. registered 1000 new numbers. Predictably, and despite an excellent urban highway system, the city often gridlocks. June 2013 – Su Ling, our stringer in Kuala Lumpur sends information today carried by the government website: May 2014 – corrections in red. The Wilaya (Federal Territory of Kuala Lumpur) is about to issue the last component of its three-letter, four-number series, with WYY 9999. It is intended to move to W 1 A 1-9999. W 1 B 1-9999 etc. It has rushed through its ‘W’ code, which only started in 1974 with WA-WY, then WAA=WYY, and it will have lasted just about 40 years….. The other Malaysian states commenced their issues on or before 1934, first with their single state code letter and 1 to 9999, then adding a one-letter A-Y suffix* to 9999, then most of them to double-suffix and to 9999. * missing such as I, O & Z. No other Malaysian states or territories are anywhere near exhausting their current 3L4N series – indeed, Perlis has not yet issued its first three-letter plates, being still at RJ 8187 this month! (06/2013) Even little Labuan, the Bornean island, has reached LE, having only started LA a few years ago. Malaysia was one of the first jurisdictions to use plastic for its plates and there are many snapped, splintered ones to be seen. They can be hard to photograph because of their shiny surface reflecting sunlight or flash. 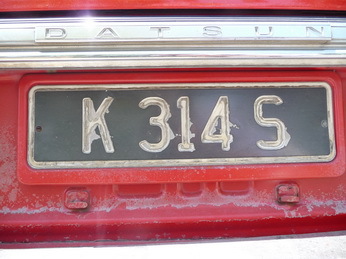 Anyone can make these plates and the new slim characters have slowly replaced the big, British-style ones common to Malaya until the 1970s. 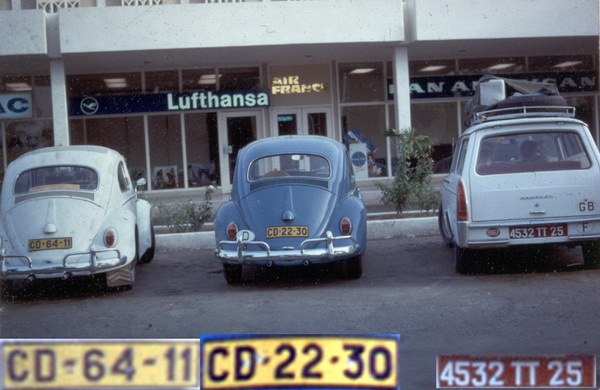 The blue Trade Plates are still pressed alloy in that earlier style and appear to be officially made and issued. Many heavy lorries and trailers use pressed-alloy plates, because the plastic plates are too easily breakable on rough terrain/building sites etc. The most common font is almost identical to the former South Africa design. TJ 3079. Could be Transvaal-Johannesburg – but it’s from Trengganu. NN 2625. Could be from Newcastle (City) in Natal, but it’s from Negri Sembilan. 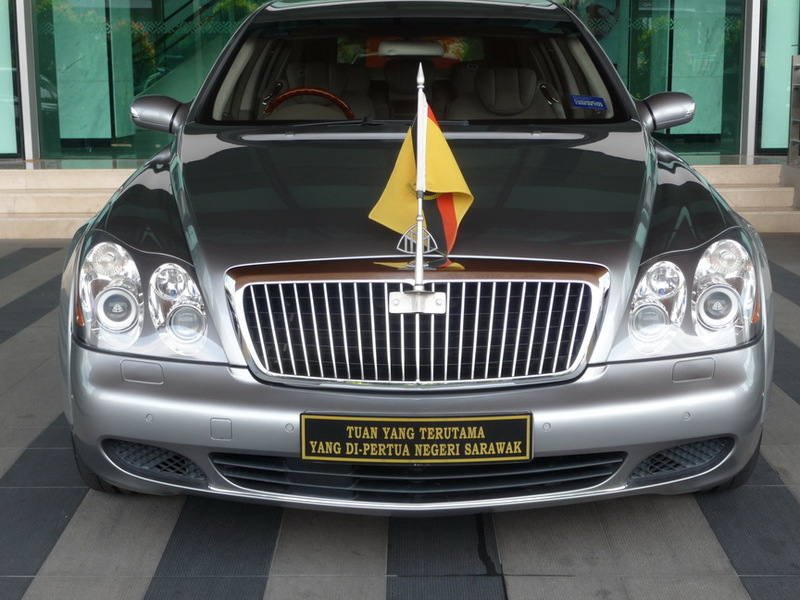 For good measure, let us finally note the simple transport employed by the wise leader of this Malaysian state. It was the central vehicle in a noisy son et lumiére cavalcade of motorcycle outriders, dark-window’ed Range Rovers full of goons and an army Landrover or two, which accompanied him to his noodle lunch one day at the pub I was staying at, near the Kuching airport. His grandfather travelled by dugout canoe, collected shrunken heads and gave Shell a licence to explore for black gold! A basic conveyance for the village headman in Kuching. Addendum June 25 2013. The new suffix confirmed. See Blog Page of this date, titled Malaysia News & Jottings. 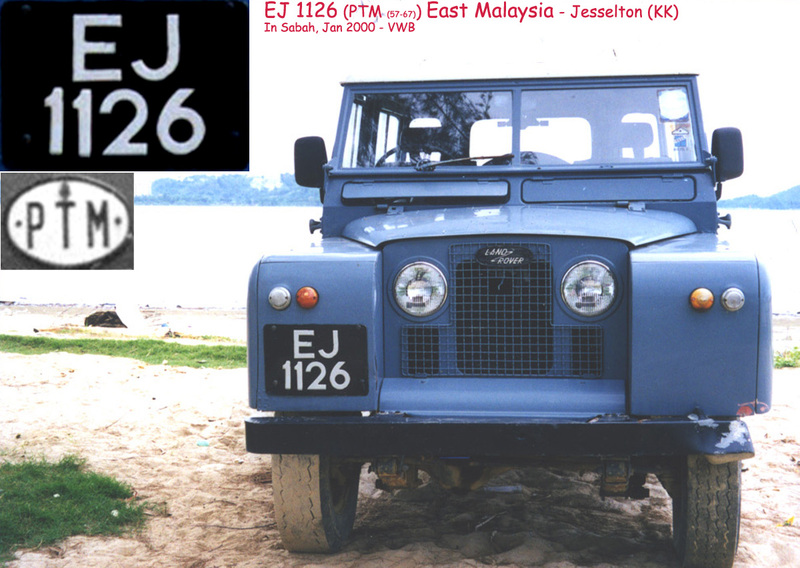 Member John Pemberton EU83, a venerable nonagenarian from Suffolk, has reminded me that he has a plate, J 3500, from one of the the little-seen British colonial enclaves of Borneo island, now known as Sabah state in Eastern Malaysia. Independent in 1957, Malaya later combined with the former British territories in Borneo island, Sarawak and (then) the Colony of North Borneo to form Malaysia in 1963. To see a plate from British Borneo (or from Labuan Island – a onetime Straits Settlement) in those times was a rare sight indeed. 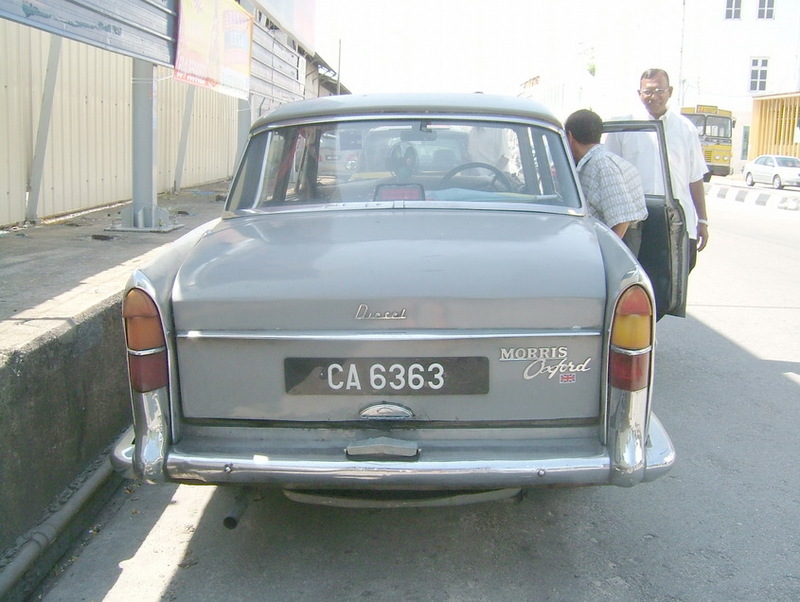 Mr. P. – You write of having a ‘CNB’ numberplate, J 3500 – the CNB only identifying the Colony of North Borneo as it was designated between 1955 and 1963*, when it assumed (PTM) – six years after Malaya’s 1957 independence from Britain. After another ten years, in 1967, the Malaysian (PTM) international oval changed to (MAL) and vehicles from (by now, Sabah) would show the (MAL) oval IF they ever travelled outside Borneo or mainland Malaya – most unlikely. British North Borneo 1950s-60s. J=Jesselton (now Kota Kinabulu). You sent me a photo of J 3500, and I have it my Sabah archive as above: Glorious! You say that the late Roger Anderson passed it to you in 1976. Did he ever say what vehicle it came from? Did he see it in Britain? John P replied verbally that a very old friend and an early spotter obtained it ‘out East’ in the 1950s, but was unsure of its origin. 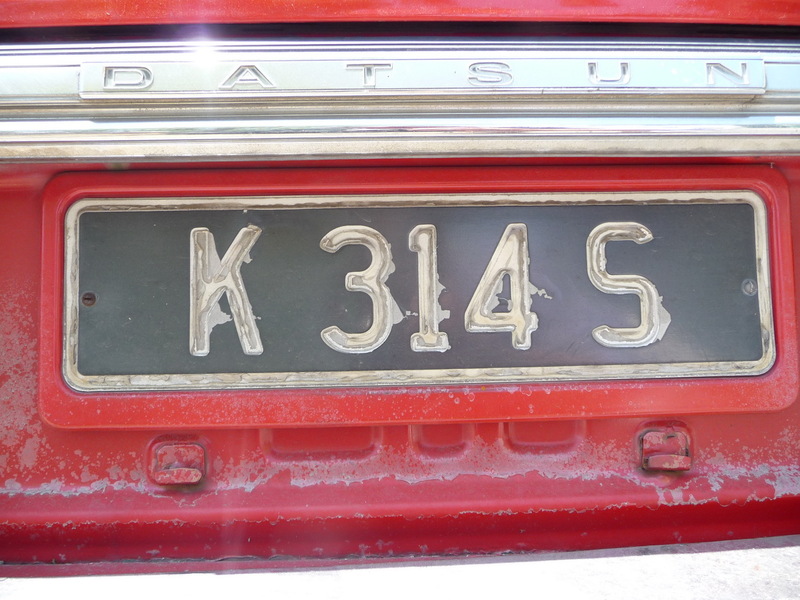 I have now visited Sabah twice and collared quite a few of these earliest plates on photo – it’s a jurisdiction where old cars are kept running, and, happily, the authorities don’t force owners to shed their original plates whenever a system change occurs. 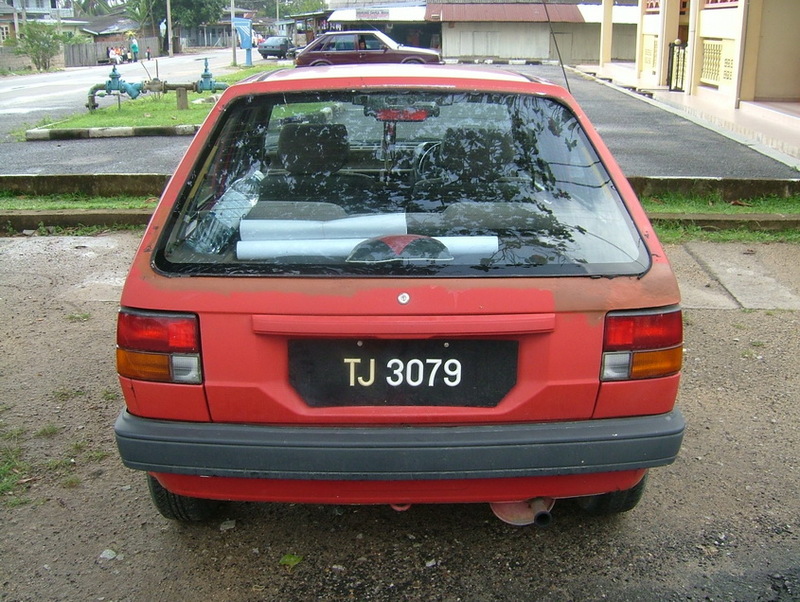 Although, when Mainland Malaysia recognised that it’s newly-acquired Bornean territories, Sabah and Sarawak were already using regional codes identical to their own, Sabah hurried to add a suffix ‘S’ to their existing registered vehicles, (and Sarawak added a ‘Q’ suffix) to distinguish them, should vehicles move between Peninsular Malaya and north Borneo (now East Malaysia). 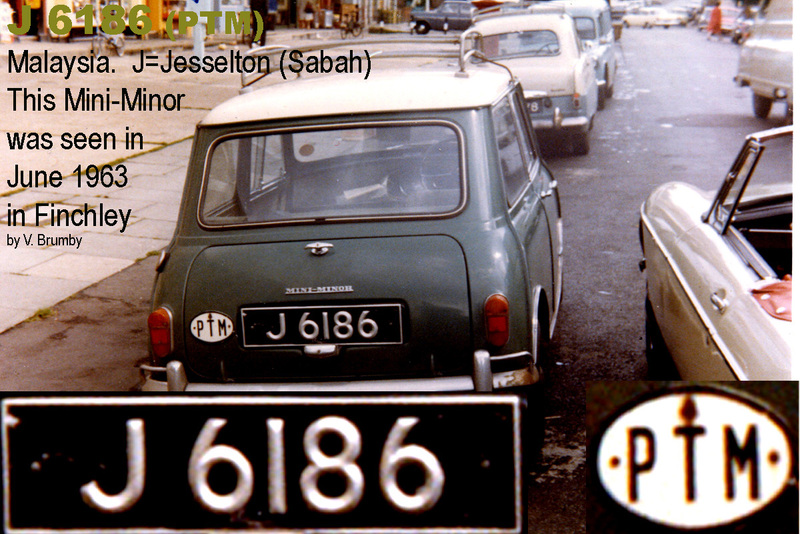 The Mini above would have adopted J 6186 S.
Newly-registered cars in Sabah first adopted an ’E’ (for East Malaysia) preceding their town code (E J-Jesselton, E S-Sandakan etc.) 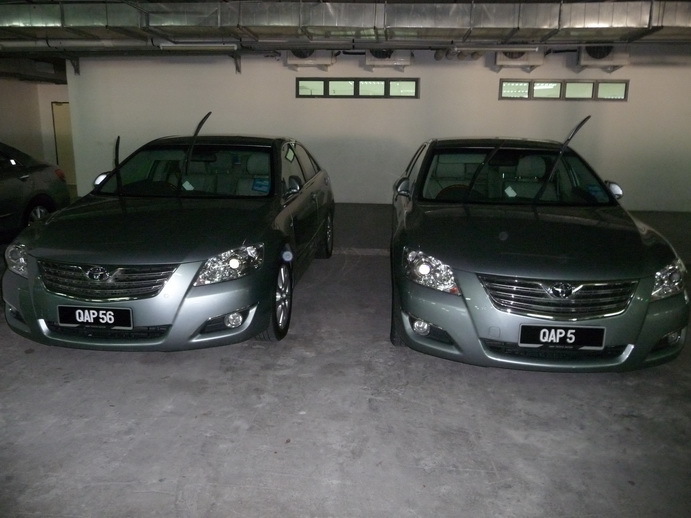 In Sarawak, they added a ‘Q’ suffix to existing plates and a ‘Q’ prefix to new registrations. The ‘J’ for example, which could have come from Johore (Peninsular Malaya) or from Jesselton (Colony of North Borneo/Sabah). 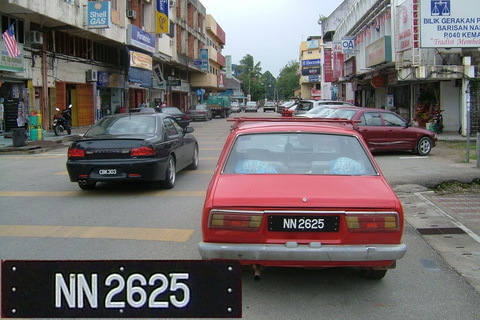 Until these changes had been implemented, at that confused time, a PTM-ovalled car seen abroad after 1963, registered ‘K’ nnnn could have been registered in Kedah (Peninsular Malaya), Kudat (Sabah) or Kuching (Sarawak)! ‘T’ could come from Trengganu (PM) or Tawau, and ‘S’ from Sandakan (Sabah), Singapore (old) or Sibo (Sarawak). Little wonder the licensing authorities had to act! There are still, dumped in kampongs, a few of the single-letter plates to be seen. And photographed. Some plate collectors would buy them off the village headman and take them away, but I like to leave them in their context, in case another member should chance by in years to come! Mr. P – It is so evocative to read that in your early spotting day, you saw Danzig Free City plates – and India, including Jammu & Kashmir! Did you take photos of any of them in those times? LATER (John Pemberton passed his album in January 2013 to the Club, as a result of this enquiry, and the 80 or so pictures will be progressively released on the Blog. Any other unseen material out there, readers???? p.s. Does anyone have a picture of a Colony of North Borneo oval (CNB) or a State of North Borneo oval (SNB)???? We assume a few were made. Denis Fowler is a retired diplomat who served in Iceland, Nepal, and Pakistan amongst other places. 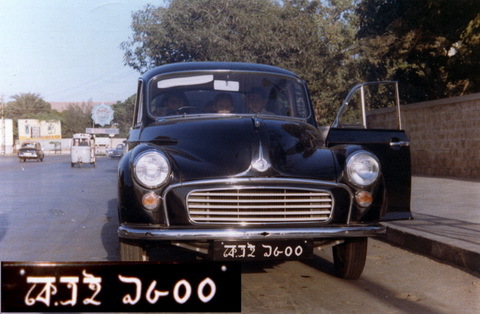 He has kindly trawled his old photos and slides and sent this (slightly fuzzy) shot of his Ford Prefect, on standard KA (Karachi) Pakistan plates, but identified as a diplomatic vehicle by the CD oval, which had silver letters on a dark green background and a white rim. 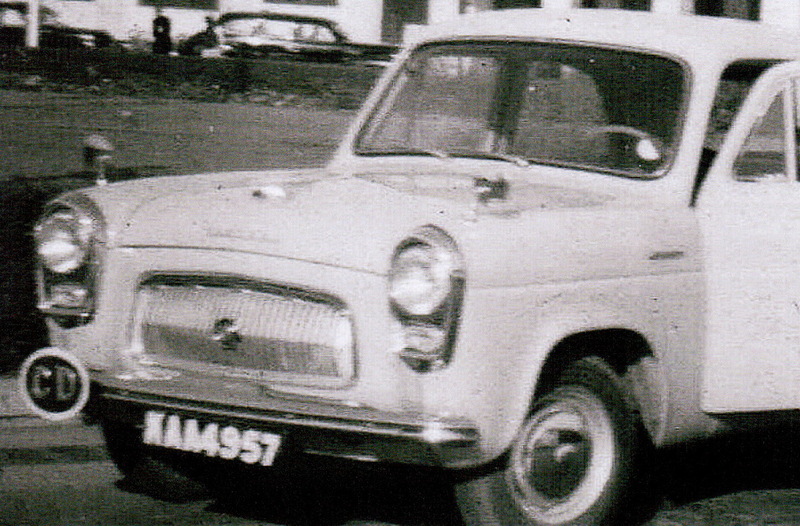 He adds that he bought the Prefect from UK Ford dealer Lex via the tax-free Home Delivery Export Scheme in August 1955, and ran it for a couple of months before handing it back to Ford for shipment to Karachi. He knew that upon becoming a republic in March 1956, Pakistan was planning to switch from driving on the left to the right, and so he ordered the new Ford in Left-Hand-Drive, but after he arrived in November 1955, the plan was scrapped for this extraordinary reason: camel-drawn carts were then used to take the imported goods from Karachi docks to all parts of Pakistan, by day and by night, with their drivers sleeping much of the time. It became recognised that the animals could not be trusted to walk unattended on the ‘wrong’ side of the road to that to which they had been accustomed for generations. It would have caused accidents and chaos, and so the new republican government never proceeded with its plan – which had probably merely been a symbolic act of casting off their imperial yoke, and not of any actual practical value. We hope to see further pictures from Dennis’ delving in to his photos and slides! His daughter spent periods in Zimbabwe, Malawi and Bolivia and his son drove back to Britain from Nigeria in a Landcruiser. They have been asked to inspect their albums for period plate shots! Readers are advised to ask for such pictures of any old pals who once served abroad. They are a unique record of extinct plate types, and will not generally be recognised as being of interest to their heirs, when they inherit parents’ old photo albums and transparencies/slides. 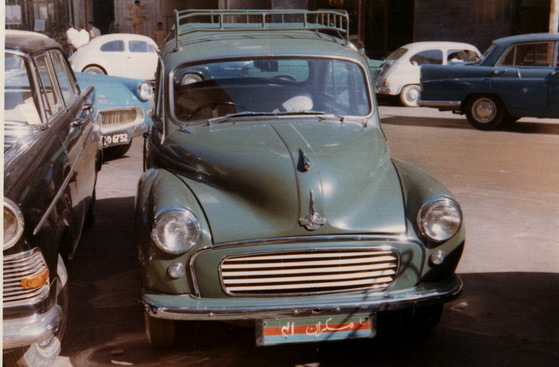 Sad to think how many great pictures are thrown out in house clearances…..
Below is an unusually-plated Morris Minor, also in Karachi, but shot by me (VB) in 1965, and which for years I had never properly identified. Apparently the Urdu script reads ‘Mashriq’ 41 – any ideas, anyone? Wikipedia notes: Makran Division (Persian: مکران ) was an administrative division of the Balochistan Province of Pakistan, until the reforms of 2000 abolished the third tier of government. Districts of Makran Division included Gwadar, Turbat, Mand and Panjgur. Makran is the ancient name for Baluchistan and was an exclave of Oman until 1958, when Pakistan bought it from the Sultanate of Oman. 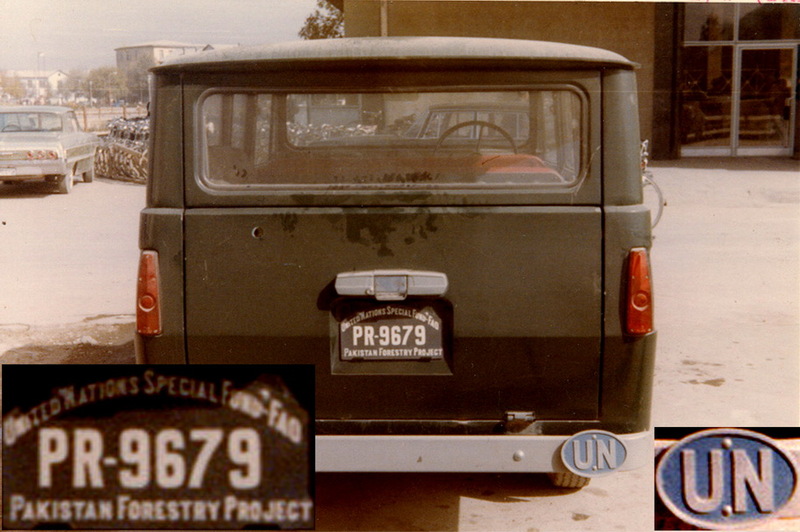 Finally, one of the very few Pakistan plates seen in Britain since 1947 Partition – a VW Camper from Quetta in Baluchistan, sporting a PAK oval provided by the Karachi Automobile Association. Seen in Kensington Church Street, London in 1964, by VB. 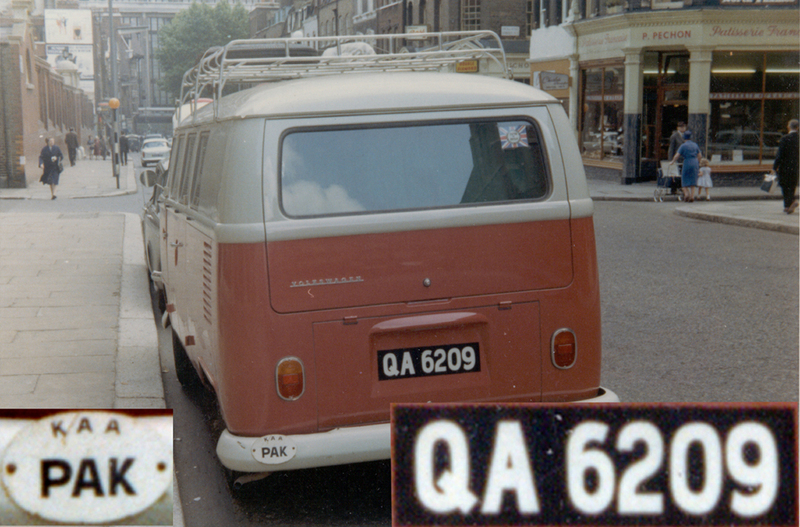 QA 6209, a Quetta plate in 1964 London. More finally, I parked my Peugeot 404L next to a pair of diplomatic VWs in Rawalpindi in 1968. That same CD system is still in use in Pakistan, 44 years later! 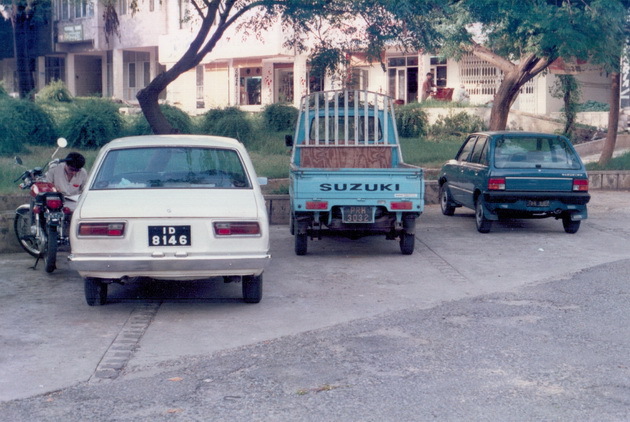 BELOW: When EU38 visited the newly-built British High Commission in Islamabad to collect my mail from the Poste Restante service they used to offer travellers, I was amazed to come across a car from Sarawak – the first I had ever seen! And as used to be the convention, it showed the international oval SK, as supplied by the Kuching office of the AA. How unusual to see a vehicle from Borneo in the ‘stans! 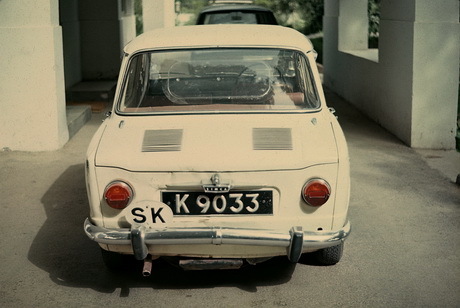 Sarawak K 9033 outside the BHC, Islamabad, 1968. K=Kuching. 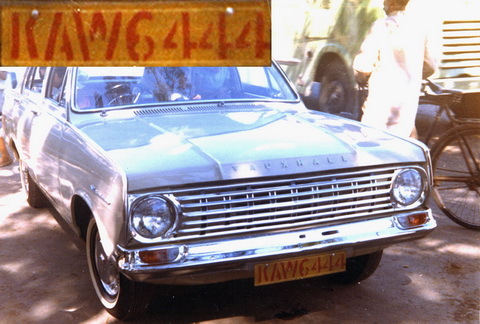 KAW 6444 – red-on-yellow Karachi Trade-plate on a new British Vauxhall Victor, there in 1965. Brumby archive. You are currently browsing the archives for the Sarawak category.